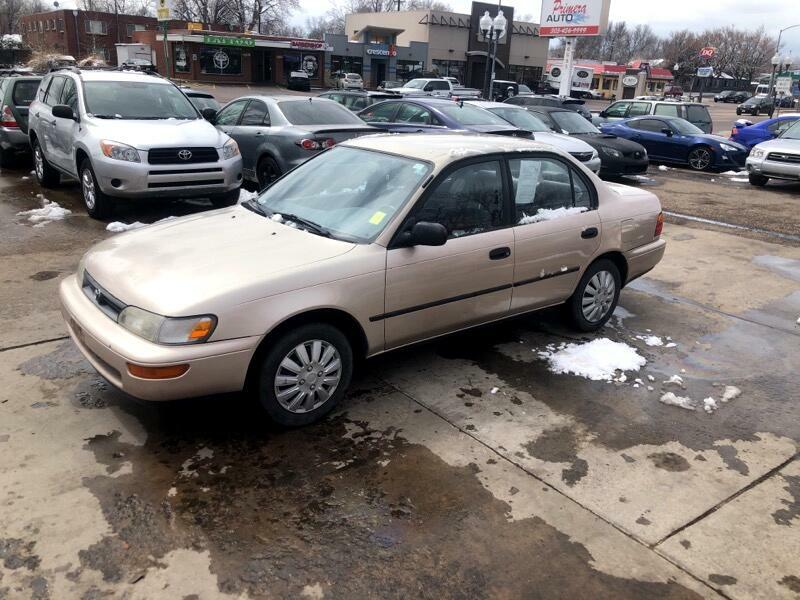 VERY LOW MILEAGE, WELL MAINTAINED, 4 DOOR SEDAN, GOOD CONDITION INSIDE AND OUT, VERY SAFE AND DEPENDABLE. THE VEHICLE IS MECHANICALLY SOUND! ONLY 124K MILES 5 SPEED,, CLEAN TITLE AND GUARANTEED EMISSION TEST, PRICED VERY COMPETITIVELY! WARRANTY FOR ADDITIONAL COST IS AVAILABLE !!! PLEASE DO NOT MISS THIS GREAT VEHICLE FOR ONLY $1995 PLUS APPLICABLE TAXES AND FEES!!! CALL 303-456-9999 TODAY!!! Message: Thought you might be interested in this 1993 Toyota Corolla.